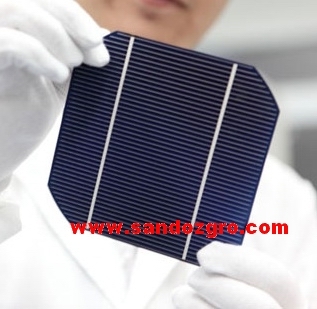 Sandoz series paste is a front electrode for mono and multi-crystalline silicon solar cell wafers. 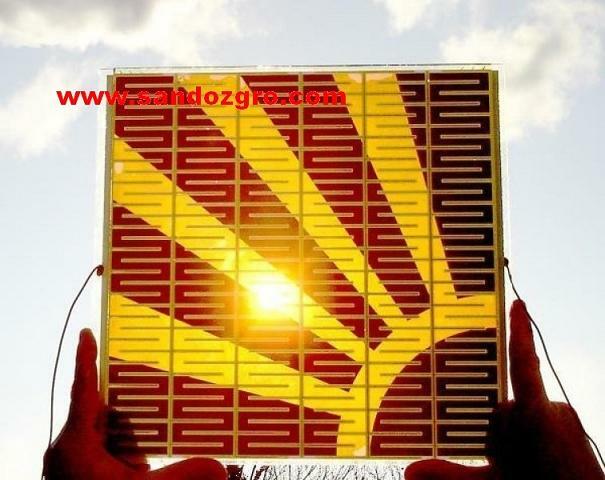 It easily penetrates the anti-reflective (SiNx:H or TiO2-x) layer during the firing process and provides low contact resistance. 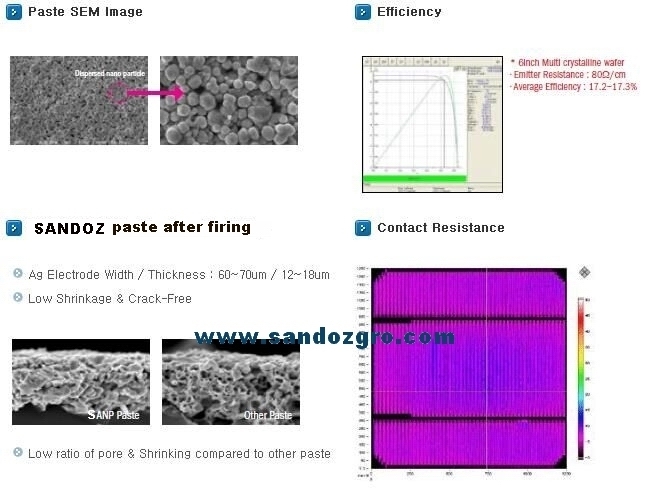 Ag Paste can be co-fired with commercially available backside Al and Ag-Al Pastes.These Silver Metallization Pastes are customizable to your process, thus increasing efficiency and fill factor while providing wider processing windows.